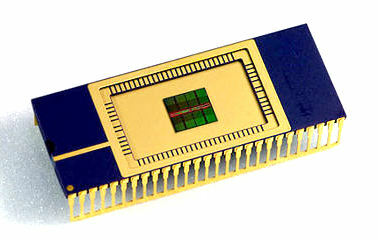 Samsung's 16M (16 Megabit) DRAM was developed in 1989 and first mass produced in 1991. 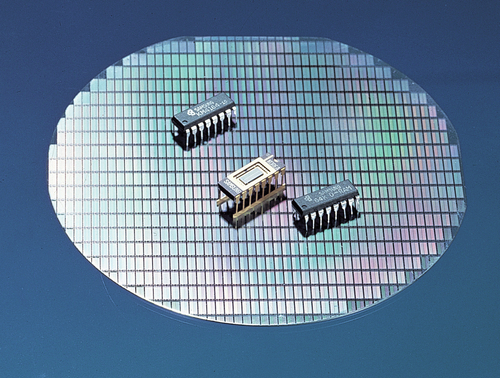 Many semiconductor manufactures were competing at this time to produce DRAM memory chips, including Intel, Texas Instruments, Samsung, NEC, Micron, Hitachi, Infineon, Hynix & Toshiba. 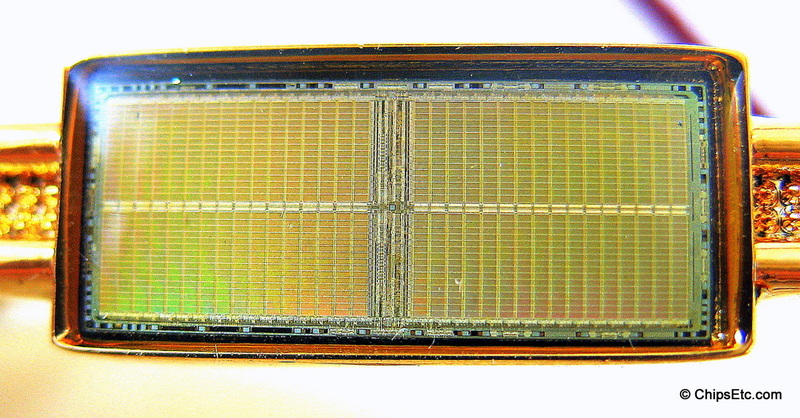 Samsung electronics overtook Toshiba, Hitachi & NEC and became the #1 DRAM manufacturer in December 1992, mainly due to Samsung's strength in ramping up production faster than it's competitors. 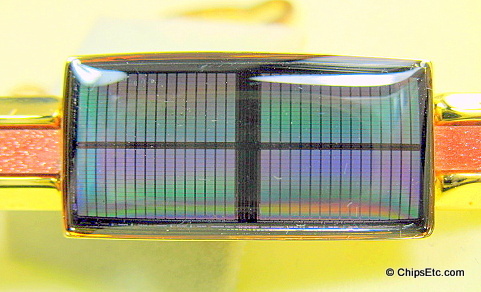 Another advantage for Samsung was that they had chosen to upgrade their fabs from 6" wafers to the larger 8" wafers. 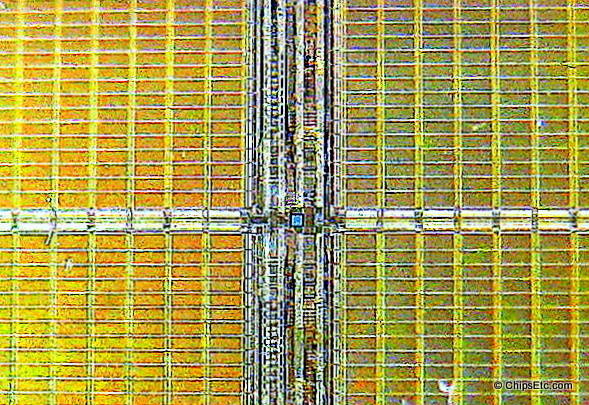 Samsung is now recognized as the leader in Memory Chip manufacturing and is the second largest semiconductor manufacturer behind Intel Corp. Intel was the first to produce the DRAM memory chip (the Intel 1103) back in 1970, but Intel would decide to completely exit the DRAM memory chip business in 1985 and stop the last DRAM production at their Fab 5 in Aloha Oregon. 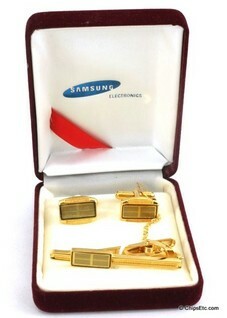 This is a three piece gift set with gold plated jewelery that feature actual Samsung 16M DRAM memory chips. 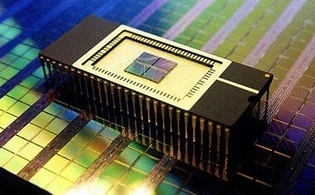 The Samsung 16M DRAM chip contained over 36 million transistors and capacitors and was manufactured on 8" silicon wafers. 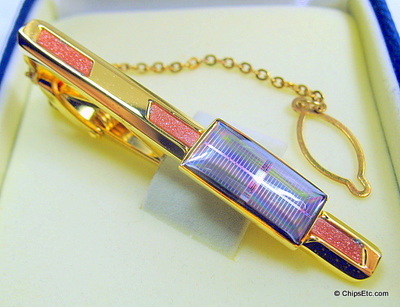 New, Comes in original velvet jewel box from Samsung. 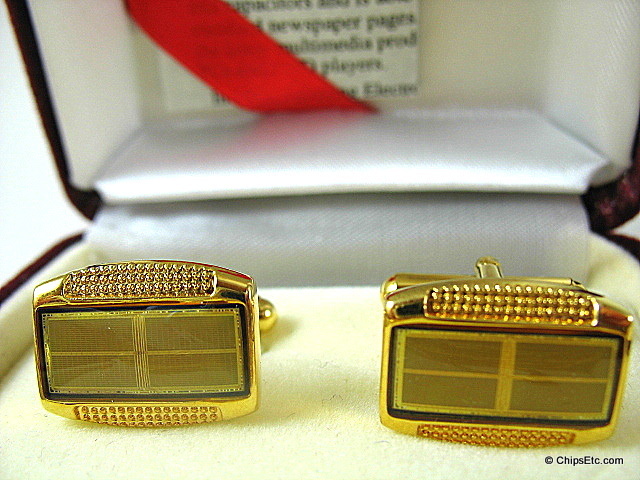 Set includes two cuff links and a tie clip. 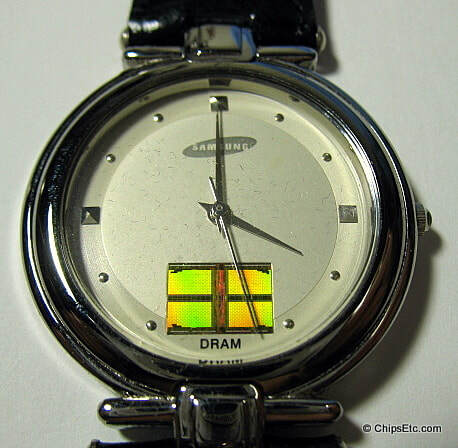 Promotional gift watch from Samsung Electronics that features an actual DRAM memory chip and the Samsung logo on the watch face. 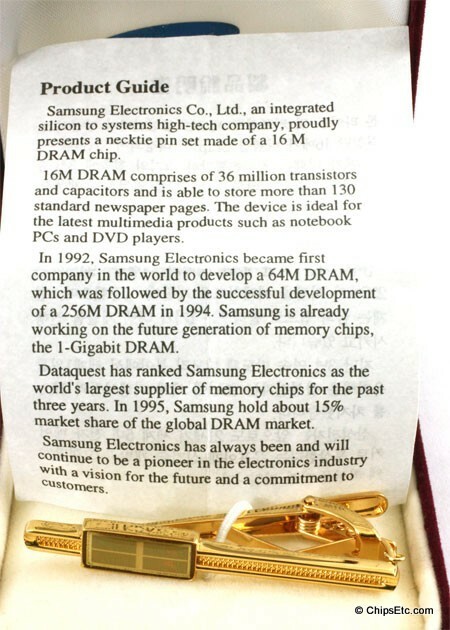 The backcase of this japanese made watch has the Samsung logo and reads "We warmly welcome your visit to Samsung". 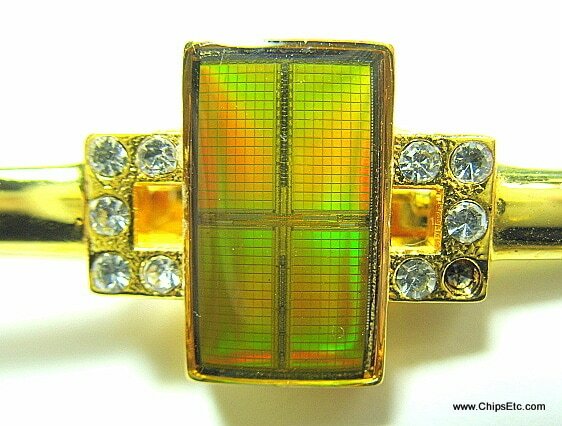 Comes in original velvet case with paperwork from manufacturer. 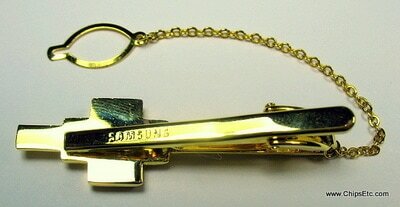 This is another variation of the Samsung 16M DRAM memory chip Tie Clip. 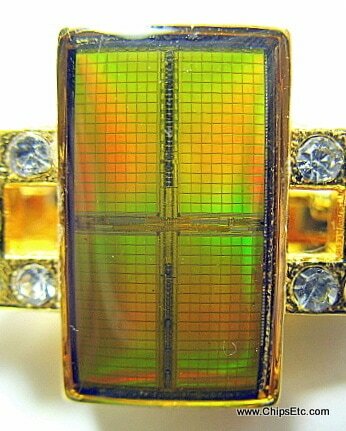 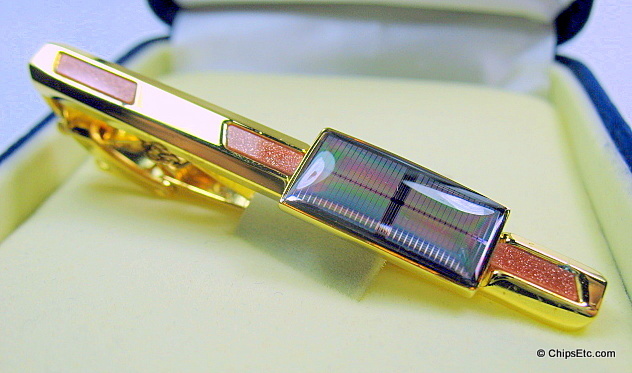 Gold plated Tie Clip with a design that features simulated diamonds around the enamel covered chip, with Samsung stamped on the back. 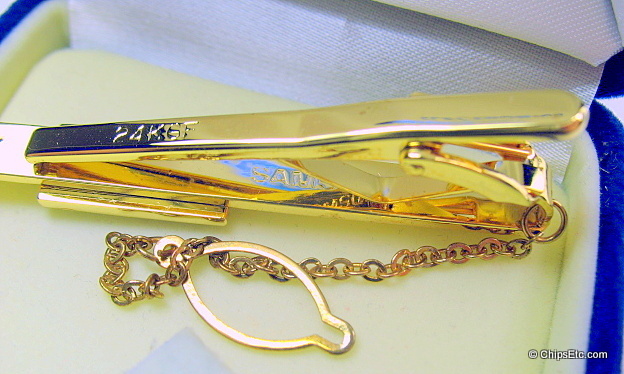 This is also a gold plated tie clip gift that contains a Samsung 16M DRAM memory chip. 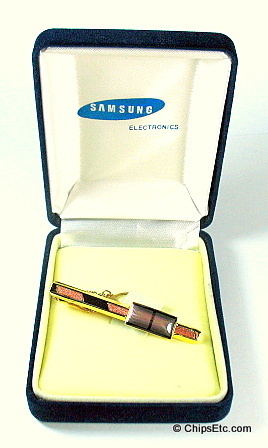 New, Comes in original blue velvet jewel box from Samsung Electronics. 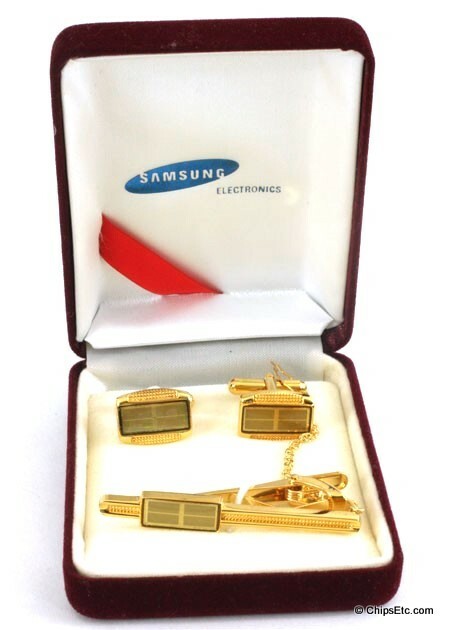 ​This is also a 3 piece gold plated gift set that contains Samsung 16M DRAM memory chips but the gift box and jewelry pieces are of a different design. 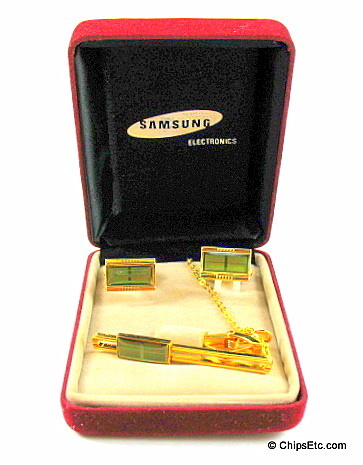 New, Comes in original velvet jewel box from Samsung Electronics. 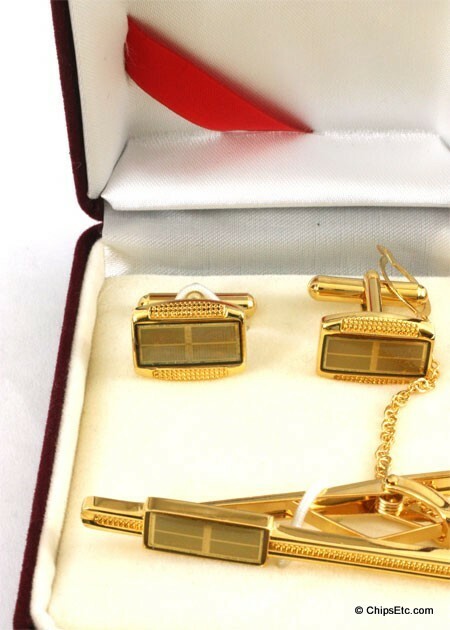 Set includes two gold plated cuff links and a tie clip. 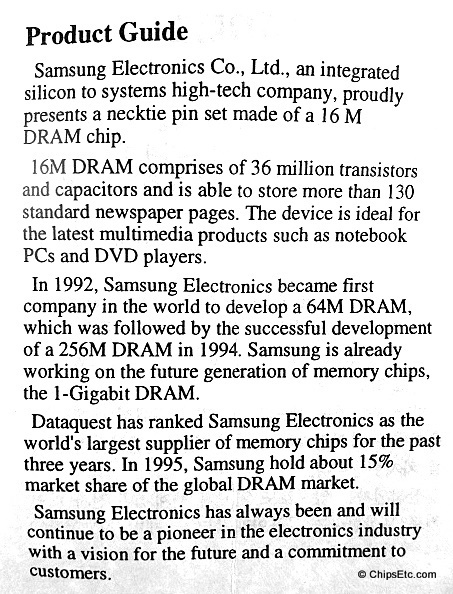 Also includes a product guide from Samsung which explains the history of Samsung's DRAM memory development leading up to 1995.